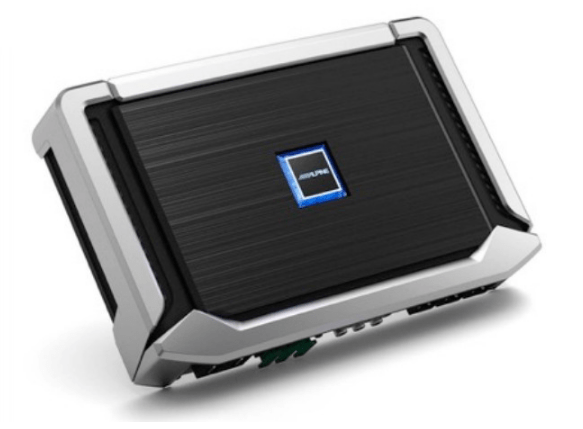 Alpine X-A70F car amplifier will sharpen the focus of your music’s stereo image, almost like the musicians are playing inside your car. This 4-channel amplifier puts out 120 watts RMS per channel, so you can be sure you’ll get the big sound you want. 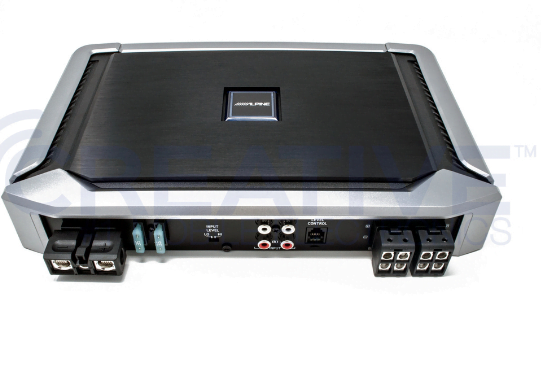 You can also use this amp in 2-channel mode to power a couple subwoofers with 350 watts RMS each. Speaker-level inputs allow you to add this amp to almost any system, even one with a factory radio. Beefy internal components and the cleverly designed Thermal Flow chassis help the amp produce its power efficiently, with little excess heat or stress to your vehicle’s electrical system. Alpine designed this amp to exert tight control over speaker cones and deliver a very wide frequency response, so you’ll experience a very realistic soundstage. A special comparator circuit corrects the output using the original input signal, minimizing phase issues for precise, high-fidelity sound. The amp’s tuning controls sit protected under a removable top panel. 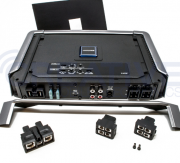 Nifty speaker and power wire plugs make it easy to install or remove the amp, while ensuring tight connections and guaranteeing that your speakers work in unison. Gold-plated RCA inputs, outputs, and power connections resist corrosion and signal degradation. For a creative touch, you can paint the amp’s trim panels to match or contrast with your vehicle’s interior decor.